Carhartt's Astoria jacket brings technology to a new meaning. 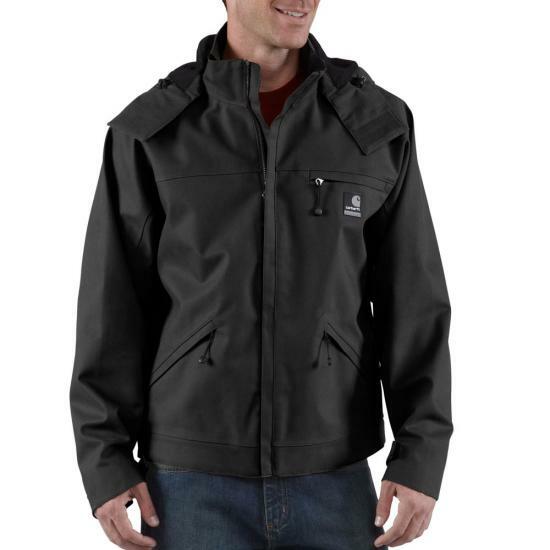 Featuring a 100% cotton canvas with a waterproof and breathable membrane, you will stay dry all day wearing this jacket. Back length: Large Reg: 26", Large Tall: 28"
I bought the Astoria Jacket and Pants for a trip to Mt. Hood in January. With suitable underlayering, they held up to three feet of snow without a hitch. More to the point, this is a versatile jacket that suits Portland's climate to a tee. I'm sure the next time I run out to the coast to visit Astoria, this jacket will live up to its name. I did find the cut a little long in the sleeves at first, but I now find it close to perfect. Purchased as a gift Very nice quality fit was good with exception of sleeves, which were quite long for a sz medium.